From Portland–the home of craft beer, cider, spirits, coffee, you name it–comes Mazama Wares. 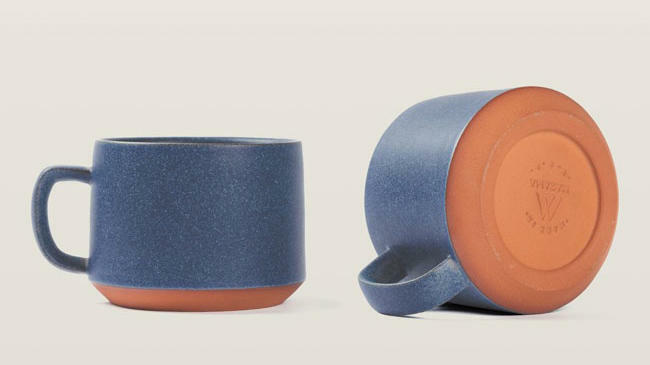 The ceramics company’s drinking vessels, from mugs to cocktail tumblers, are each thrown by hand and finished with an unglazed base trim. This year, Mazama Wares debuted the large Crater cappuccino mug (shown above, named after Oregon’s Crater Lake). More into making than drinking? Don’t miss the addictive @shopmazama feed on Instagram for on-the-pottery-wheel videos.